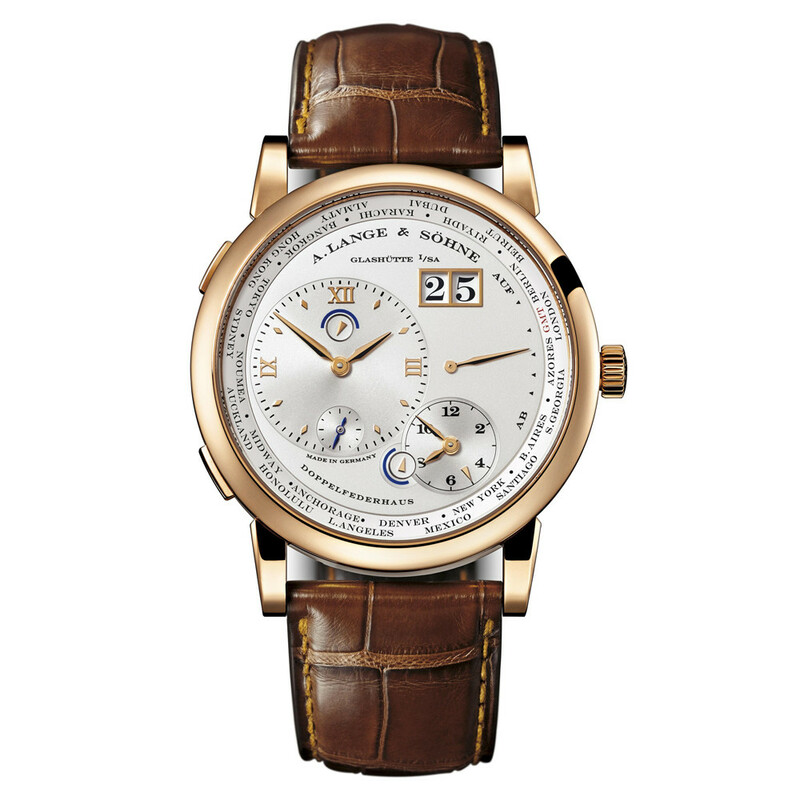 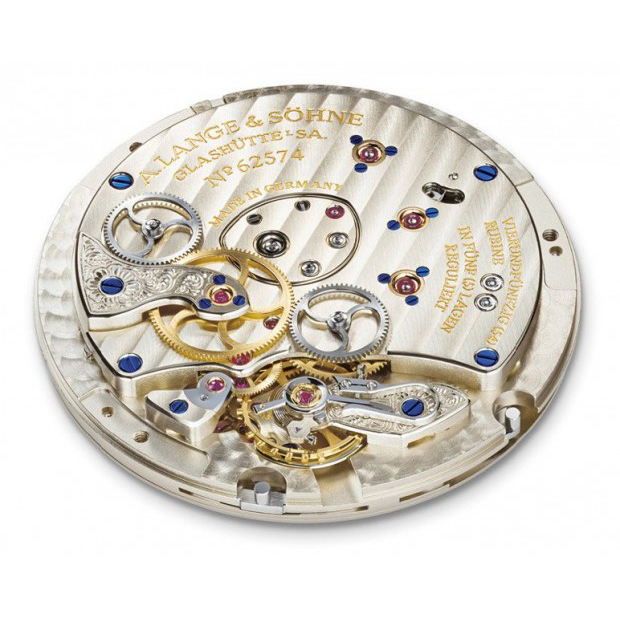 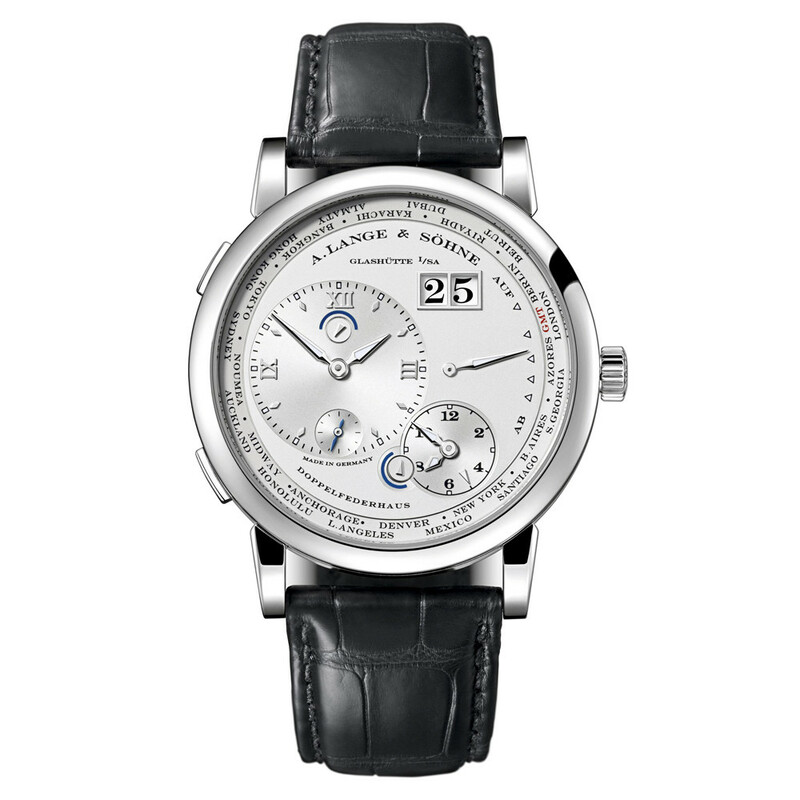 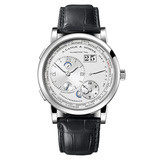 The A. Lange & Sohne Lange 1 Time Zone (ref. 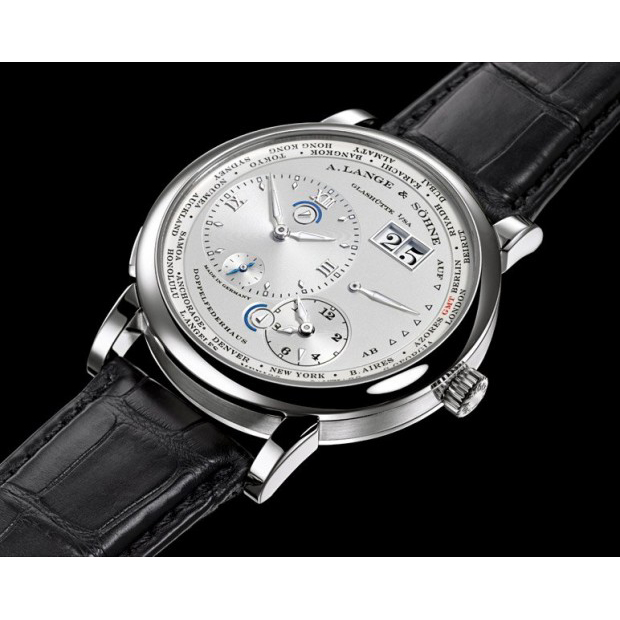 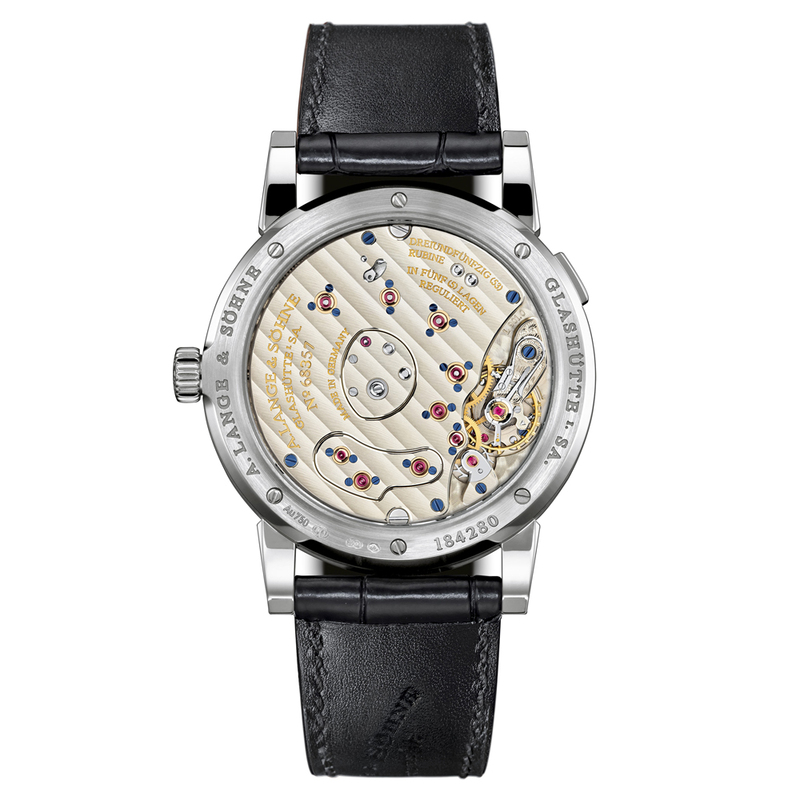 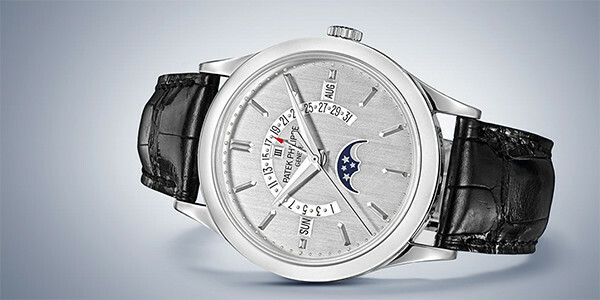 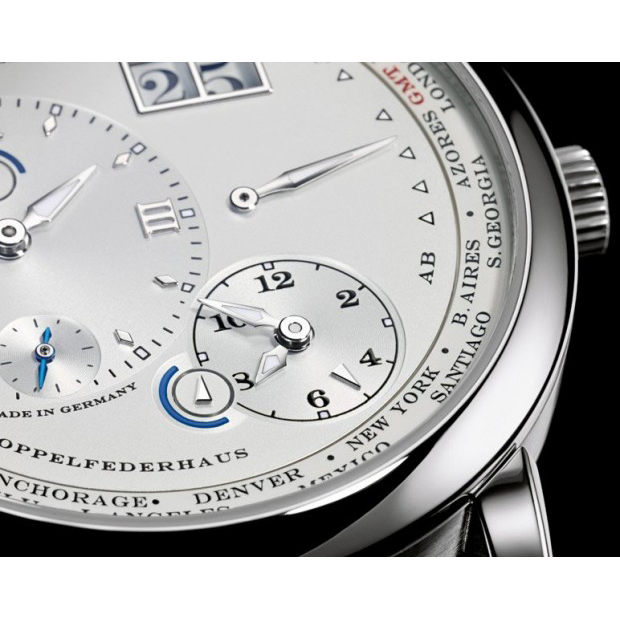 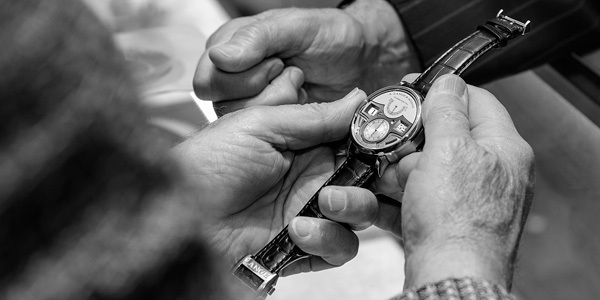 116.039) features the L031.1 mechanical manual winding movement with an approximate 72-hour power reserve when fully wound; separate day/night indicators for local and home times; silver dial with Lange's patented large date display; sapphire-crystal, transparent case back; and 41.9mm (11mm thickness), 18k white gold case on a hand-stitched, black crocodile strap with an 18k white gold ardillon buckle. 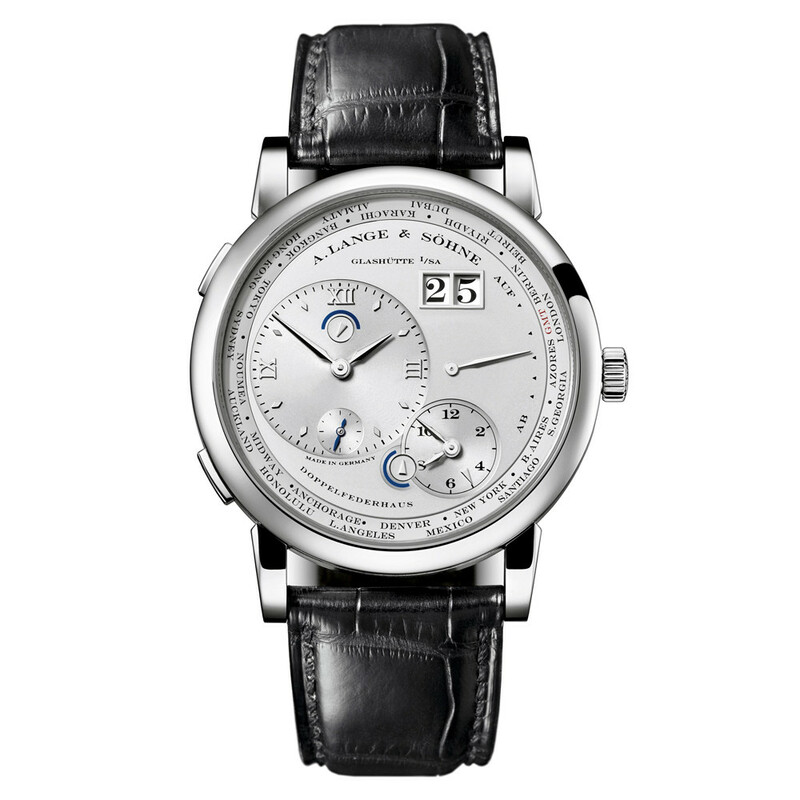 The Lange 1 Time Zone displays the local time anywhere in the world, while, at the same time, faithfully keeping track of the wearer's home time.